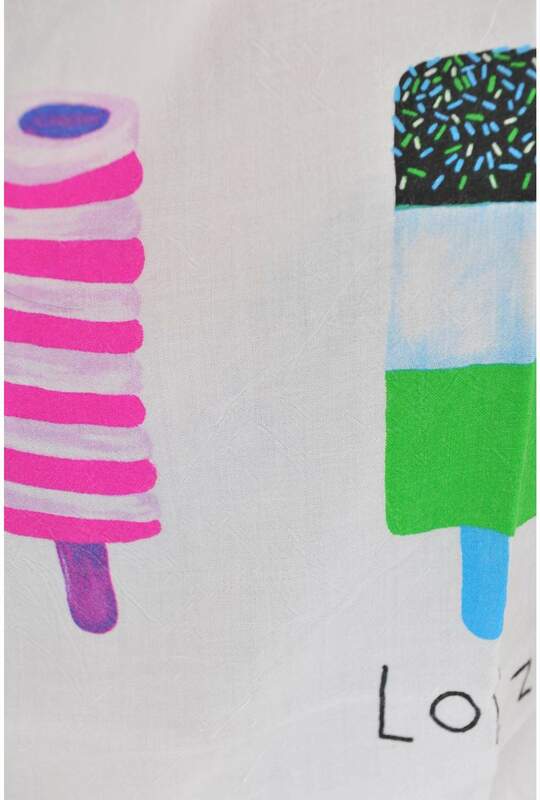 White Motel cropped t-shirt with wide scoop neck with bright novelty ice lolly print. Features short sleeves with a stylish turn up in an oversized fit. Team this bright neon print tee with a colour pop skater skirt or denim shorts for a fun casual look.